Harvest 2017, Bogard, MO: A patch of bare dirt resulting from a planter skip remained clean at harvest. Mishaps are not always a bad thing. In fact, many modern technologies were discovered purely by accident: dynamite, microwaves, penicillin and radiation, to name a few. 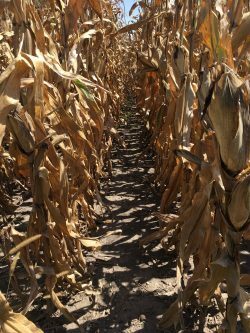 For one grower in Bogard, MO, the 2017 season started with a small planter mishap and ended with valuable insight into his corn herbicide’s performance. 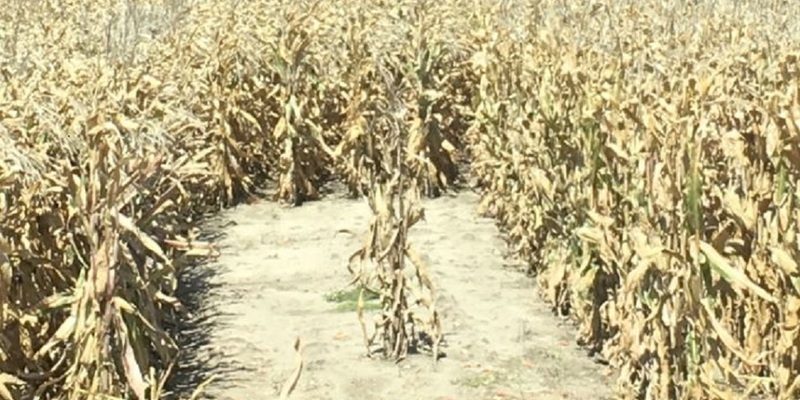 He applied the full-labeled rate of Acuron® corn herbicide post-emergence and saw season-long residual control of tough weeds like giant ragweed, marestail and waterhemp. Besides the clean rows, what really stood out was an area of bare ground in the middle of his field – the result of a planter skip. 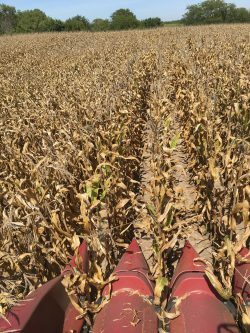 The spot remained clean through harvest despite not having the aid of canopy cover, proving that picking the right tool for weed control matters, and reaffirming the grower’s decision to use Acuron again in 2018. Harvest 2017, Bogard, MO: Clean rows at harvest. To combat tough weeds like giant ragweed, marestail and waterhemp in corn, we recommend Acuron or Acuron Flexi herbicide. Both Acuron brands contain multiple, effective sites of action, including bicyclopyrone (Group 27) for improved large-seeded broadleaf control, and can be applied in 1 or 2-pass systems. In a 2-pass system, Halex® GT herbicide plus either atrazine or dicamba may be used as the post application.